3 Modern Watch Movements from WorldofWatches.com. Do you have a well worn Timex or other watch from a discount store that uses a battery? You probably have a common quartz watch that has served well and is ready to be discarded. 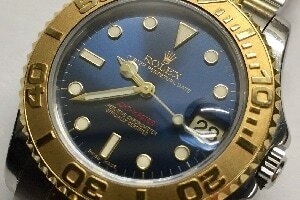 ​Or do you have a high quality brand name watch, most of which are wind or automatic operation? Sometimes you can tell because they wear well with time and could be Swiss or marked 14k or 18k gold. Some have a name like Waltham​, Hamilton, Cartier, ​Tudor, Longines or Rolex. Most of these watches could be worth a tidy sum if they are mens watches. Quartz watches are the most common, most of the time they will be marked quartz on the face. The prices start at $20., introduced in the late 1960s. Average used value $1. - $40. Otherwise called manual wind or just wind watches. These include most watches before the 1960s and early pocket watches. Average used value $10. - $200. 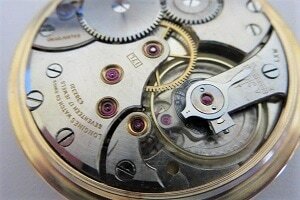 Otherwise called self-winding watches are not wound by hand. The wearer's movements wind the watch by turning kinetic energy into electrical energy. Average used value $20. - $400. ​​​A quartz movement works by taking a small battery and connecting it to a sliver of quartz which naturally vibrates at 33,000 times per second. That vibration powers the entire watch using gears and sprockets to keep very accurate time. ​Jewels in a watch are not on the face but on the inside. These tiny rubies reduce friction and can increase accuracy for years and alleviate metal on metal wear. Sapphire crystal lenses on watches (made since the 1960s) rate 9 on the Mohs scale of hardness of gemstones and are much better than plastic & mineral glass. It's always nice to find out that your watch is solid gold! Some gold marks to include their international equivalents include 10k (417), 14k (585) & 18k (750). Gold Filled (GF), Rolled Gold (RG) and Rolled Gold Plate (RGP) -all refer to the same process. 2 thin sheets of gold bonded to a lesser metal. 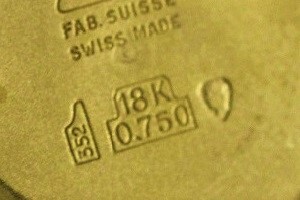 A gold covering of 5% or 1/20th gold by weight. 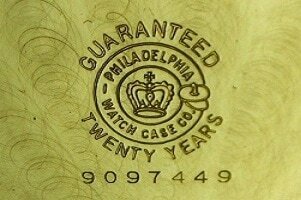 When you see Guaranteed or Warrantied on a watch case without any other gold marks, it usually means that it is gold filled. 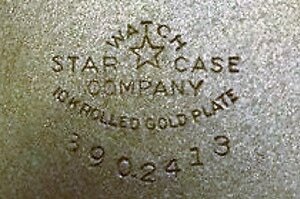 The gold covering on the case will last 20-25 years and is not solid gold. 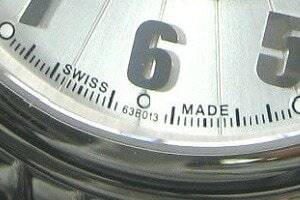 Some of the best watches in the world are made in Switzerland. It's important to note that today we have a lot of brands that have Swiss movements but are not especially valuable as well.